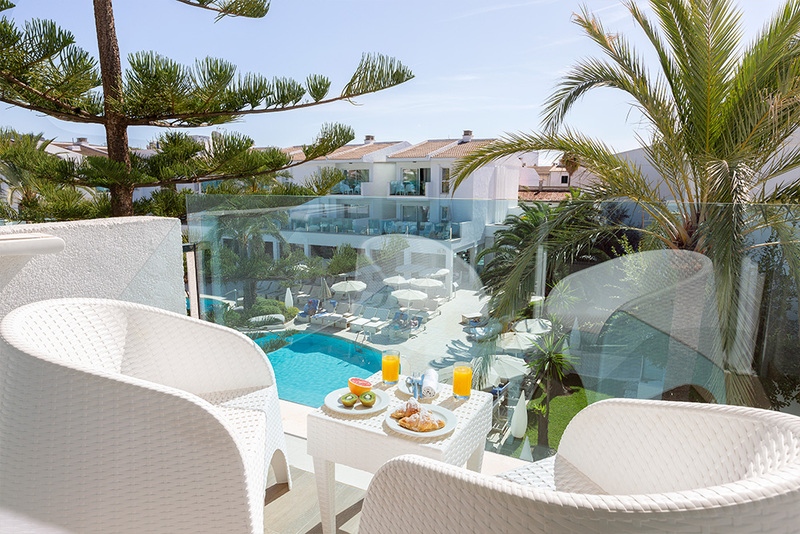 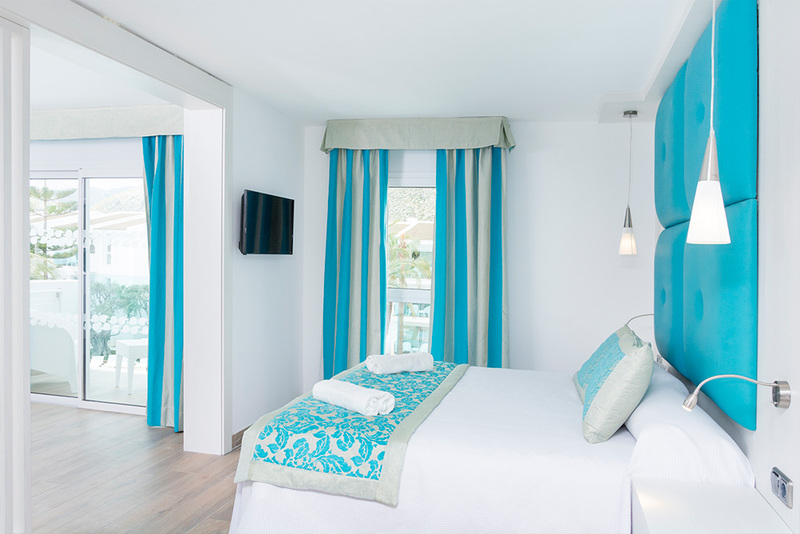 The 116 rooms of the Mar Senses Puerto de Pollença**** have been fully renovated between 2013 and 2016. 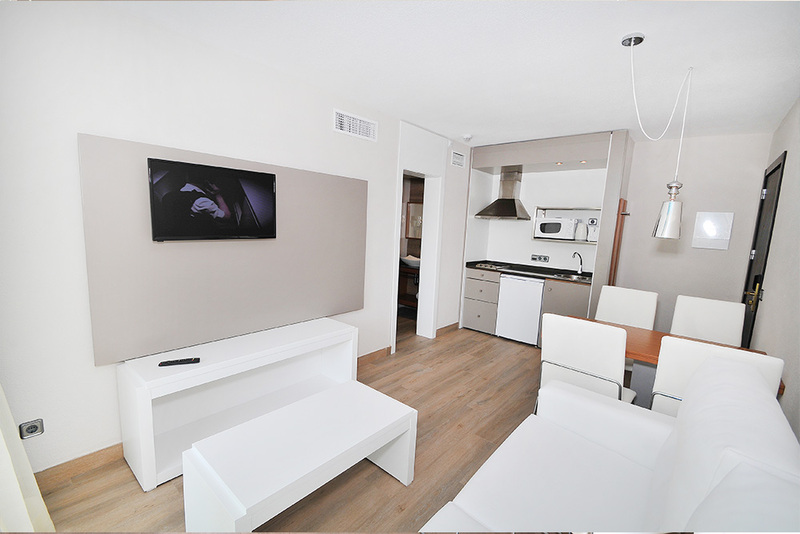 The 42 Suites of Mar Senses Puerto de Pollença**** have been fully renovated between 2013 and 2016. 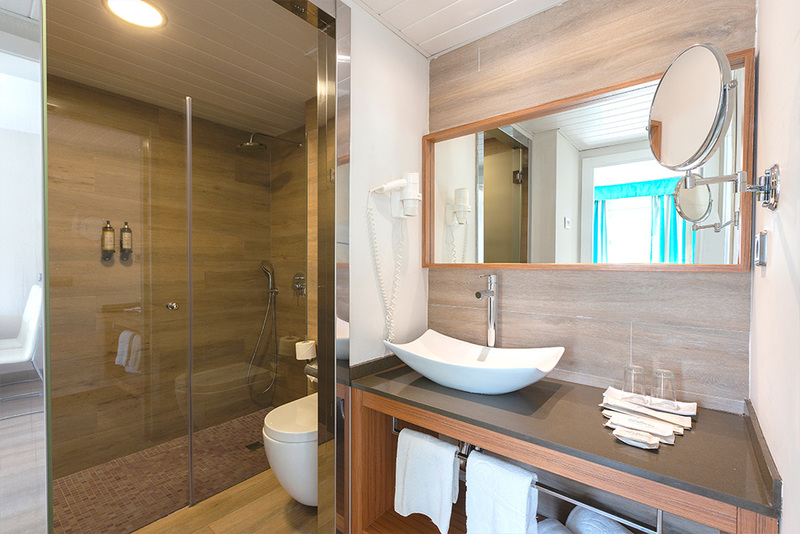 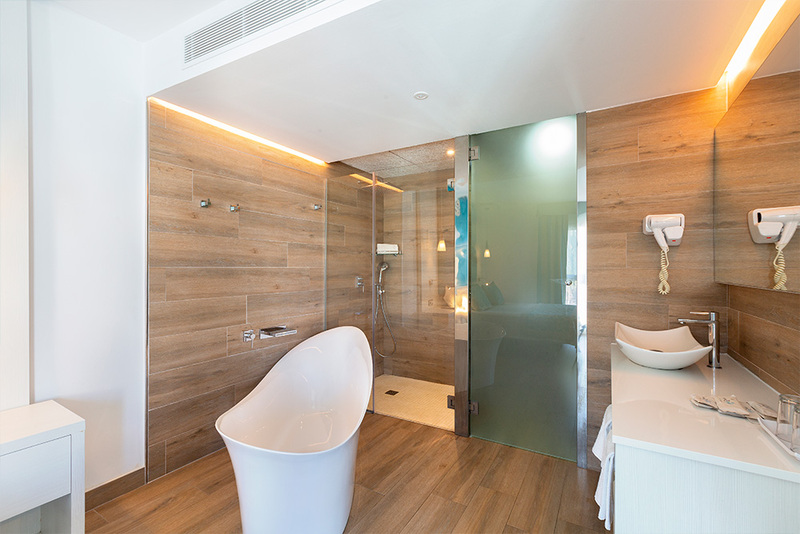 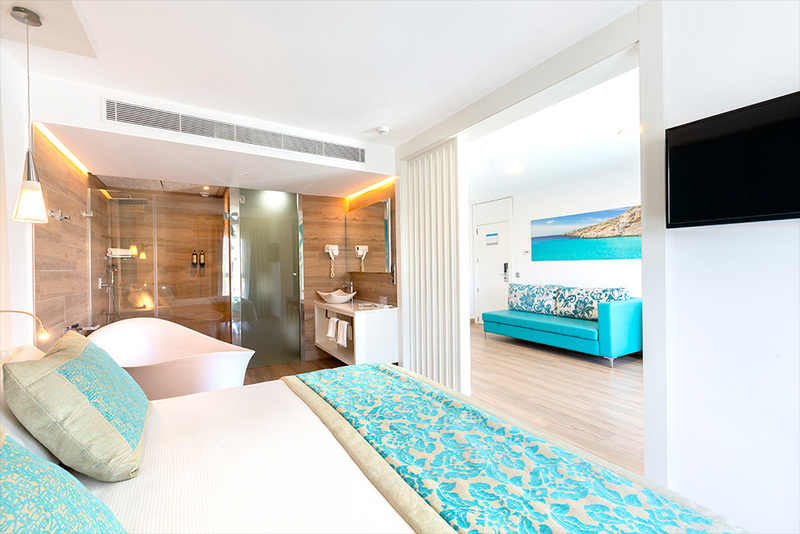 All have a separate bedroom and lounge, kitchenette and bathroom with hydromassage shower. 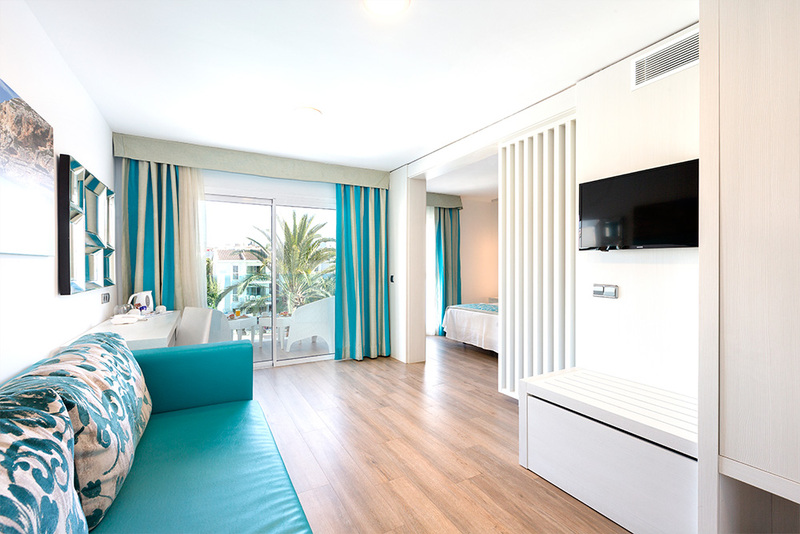 The 42 Suites Pool View of Mar Senses Puerto de Pollença**** have been fully renovated between 2013 and 2016. 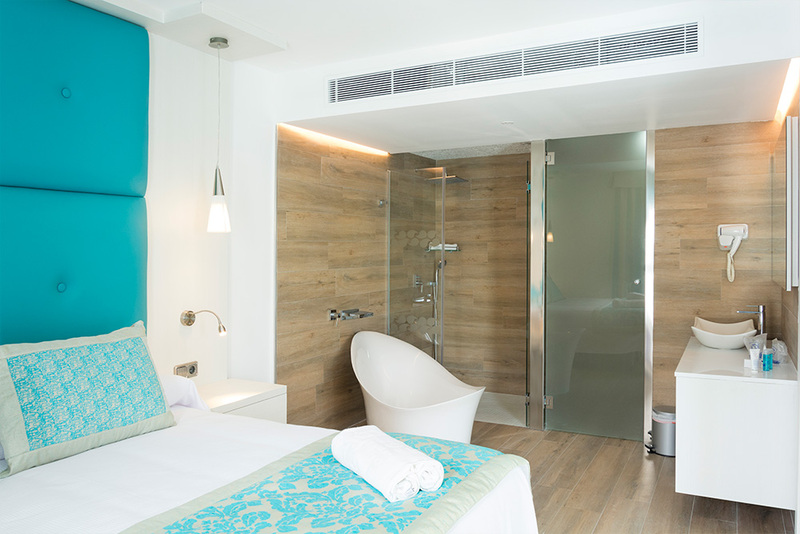 All have a separate bedroom and lounge, kitchenette and bathroom with hydromassage shower. 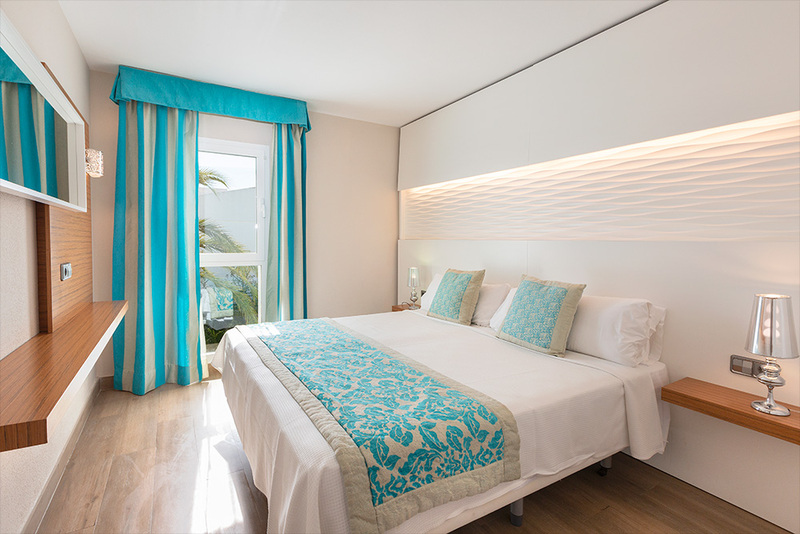 Completely refurbished in 2016, the spacious Premium Suites of Mar Senses Puerto de Pollensa have an area of ​​36 square meters with a living room with a double bed, mini bar, bathroom with shower, central air conditioning, LCD satellite television and 4 square meters balcony. 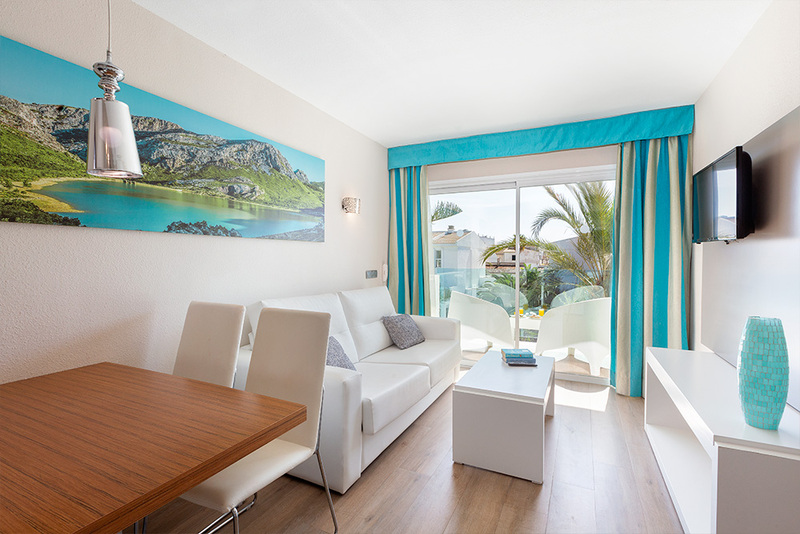 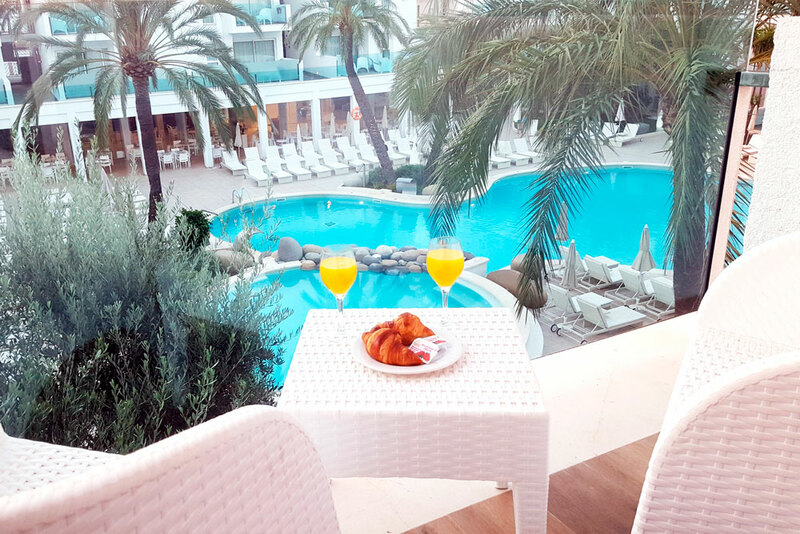 Completely refurbished in 2016, the spacious Premium Suites with Pool View of Mar Senses Puerto de Pollensa have an area of ​​36 square meters with a living room with a double bed, mini bar, bathroom with shower, central air conditioning, LCD satellite television and 4 square meters balcony.